Male Disc Golfers wanna keep their girlfriend/wife from the mall? 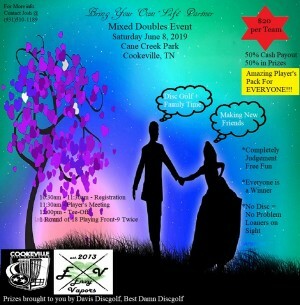 Female Disc Golfers wanna get their boyfriend/husband off the couch? Couple Disc Golfers wanna come out and make some new friends? Well this is the tournament for you. 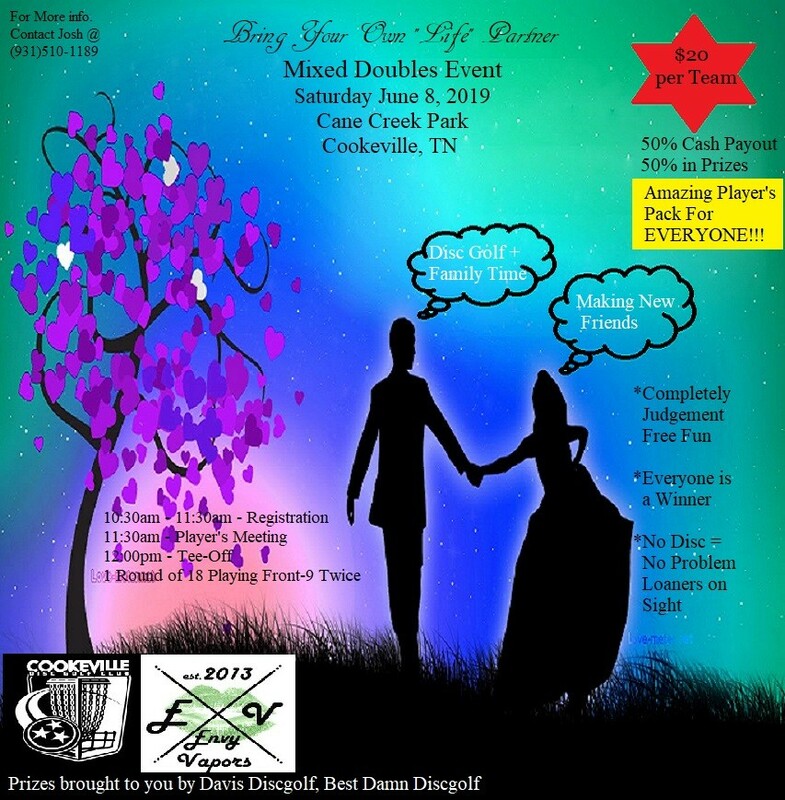 This is a couples doubles event to help #growthesport. $20 will get you an amazing Player's Pack valued over $50, plus the chance to win even more great prizes and even Cash. Tournament will be 1 round of 18 holes, playing the front-9 twice for ease of play. This is an alternate shot event, so all players shots will be used. Josh Dishman is responsible for all refunds/cancelations.